This family has a special place in my heart! I have had the opportunity of photographing them for years now! Not to mention Caroline is a hair color wizard! So to everyone who asks me who does my hair, its this girl right here! She is amazing! Not only is she amazing at hair but she is an amazing mother of two and seriously births the most perfect tiny humans ever! Miss adeline is two and is full of sugar and spice and everything sassy! This little girl keeps her parents on their toes and then there is the newest addition who is such a little sweetie! Congrats to you all on your newest addition. Majority of my maternity sessions take place on location outdoors or in studio, but obviously in New England the weather isn’t always predictable unfortunately. So with this crazy weather and the unpredictability of babies, we opted for a new location. All I can say is WOW was it amazing! Stepped out of my comfort zone and can I just say I am so glad I did this family rocked this session as they always do! So firstly can you say FLAWLESS! The dress, hair, makeup, location….everything was absolutely perfect for this session. Caroline is absolutely stunning and I was very sad to hear that this will be her last pregnancy, still keeping my fingers crossed that maybe she’ll change her mind because her and her high school sweetheart make the most beautiful babies ever! 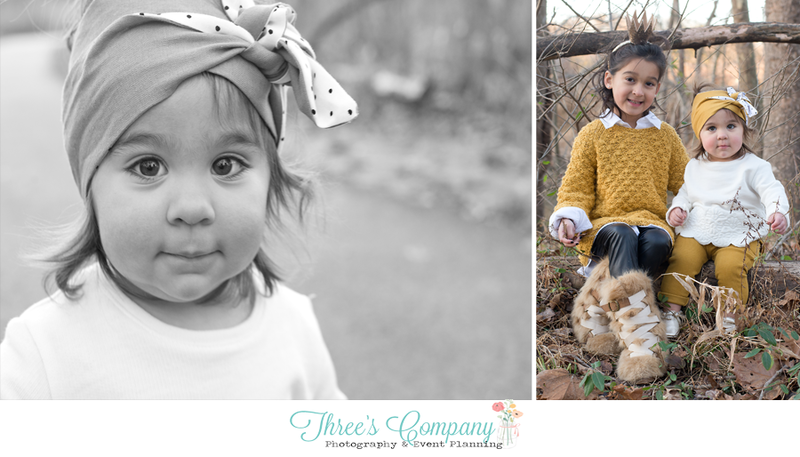 I have been photographing this family since Little Miss Adeline made her grand debut! I love watching this family grow, it is hands down the best part about doing what I do! I have known Caroline since we were kids and having the opportunity to photograph her family is amazing! I am so happy for the three of you and cannot wait to meet this handsome, yet stubborn little guy! (Note: Mama is now 4 days over due) Fingers crossed that Mr. Levi doesn’t make his very uncomfortable mama wait much longer! This beautiful couple finished out 2017 with the birth of their handsome little boy! I have known Sara since high school and was honored when she contacted me to document such a special time in her life! They choose the most gorgeous and perfect location for their session and lets be serious how stunning does she look! Pregnancy suits you! I am so incredibly happy for the three of you! There is nothing I love more than having the ability to watch families grow together. This is one of the first families I have had the privilege of photographing since I relocated from Virginia. It all started with a lemonade stand first birthday cake smash! So when they contacted me to document their second pregnancy I was ecstatic! The beach was gorgeous and that sky though! Can you even stand how gorgeous Jess is! Like seriously a flawless pregnant mama! And although this post is a little bit on the late side thats okay because I’m super excited that in a few short weeks I get to photograph this amazing family of four soon to be five! Yep you read correctly! Cruz Party of 5 coming in May 2018! I always have clients who ask prior to a session “What happens if my baby won’t sleep! Then what! ?” WELL….WE GO WITH THE FLOW! lol I have photographed so many newborns, and I can promise you that if you little one doesn’t sleep they are not the first and will certainly not be the last! Newborn babies are on their own program which I am sure you know based on the sleepless nights I am sure you are currently having. Newborn photography takes an incredible amount of patiences which you will be happy to know I have plenty of! So please ease your mind knowing that even if your little one won’t sleep, we will get beautiful images of your handsome little guy or beautiful little girl regardless! Now this little guy was having nothing to do with sleeping on this particular day but thats perfectly fine because sometimes photos with them wide awake end up being the very best! This just happens to be the second little boy this year that I have had the privilege of photographing with a full head of hair! Can you even stand it! How gorgeous is he! Even though sleeping was not his thing I think we still managed to get some amazing photos of his sweet little rolls and his wonderful parents! This little bundle of sweetness was a dream to photograph. Not only did he sleep so soundly during his session but check out all of that hair! I’ve known this little guys mom for quite sometime now and it was great to have the opportunity to photograph her newest addition! I also had the company of his very helpful big sister! Great job mom and dad! They are both beautiful! One thing I love most about being a photographer is having the opportunity to watch families grow. I have known this couple since high school, before they were even a couple! When Caroline contacted me asking me to photograph her sweet baby girl back in 2016 I was more than honored! Now take a look at that perfect baby bump she’s rocking this december! I was so excited to find out that this time they are expecting a little boy! How exciting! Little Miss Adeline is a spunky full of life princess with a whole lot of personality and I cannot wait to meet her handsome little brother in a few months! Moving to a new area absolutely throws a wrench in business for really anyone! It’s hard to move from an area where you have settled have a great clientele to a new area where no one knows you as well as there are already tons of seasoned establish photographers. Getting yourself recognized in a new area is far from easy and quite stressful! I’m not just a photographer for the money! Firstly, I am a photographer because it is my love, my passion! Secondly it is my lively hood! I decided to take a leap of faith and make photography my source of income, so as many photographers know the beginning is not so easy and being a military spouse and making constant sudden moves is anything but good for business! Luckily once we arrived to Stafford and got settled in I didn’t have to much trouble starting to bring in clients! 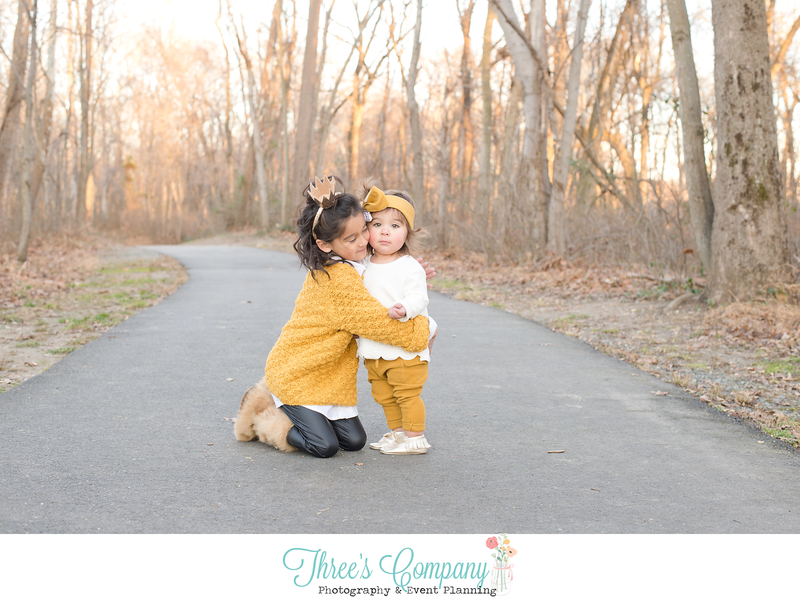 This absolutely adorable family below were my very first clients in VA! They were amazing! 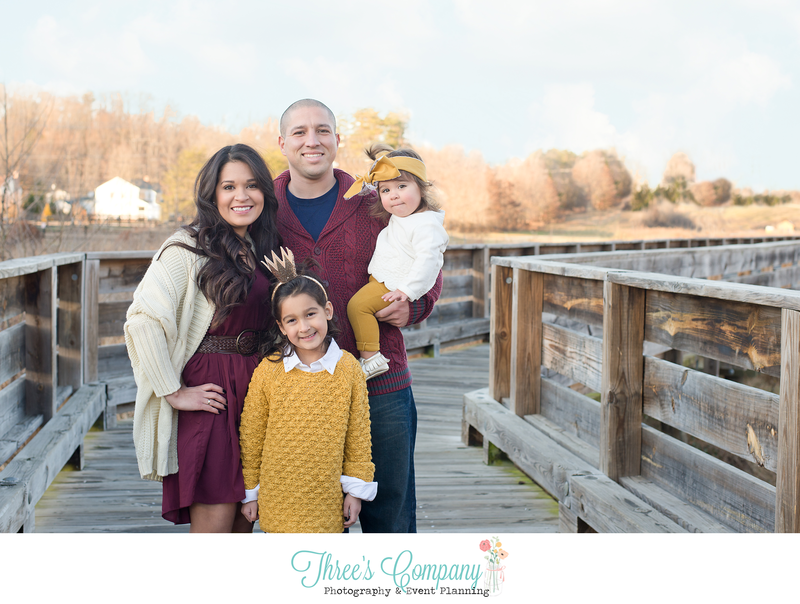 The Rodriguez family contacted me to take their family portraits before I even arrived in Virginia! They are a very sweet family of four and I am honored to have worked with them! They are also a military family. Dad is in the Marine Corps and are originally from Texas! Mama did a phenomenal job dressing her family for these photos! I couldn’t have asked for a better family to have had the opportunity to get my feet wet here in Stafford with! When we first arrived to the location, the trees were not as fall foliaged as I had anticipated! The leaves don’t last as long here as they do up north (note taken lol) But I feel really confident with the outcome anyways! It got very cold very fast and there ended up being lots of red runny noses by the end but we did get some amazing photos! 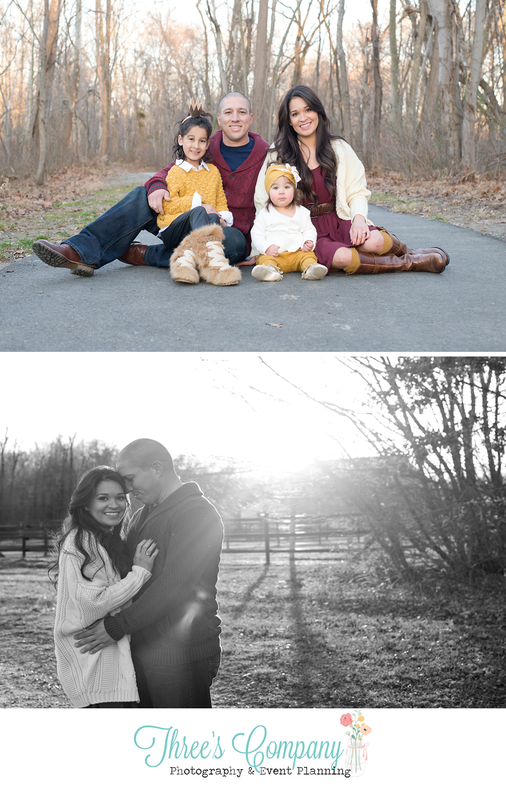 Thank you so much to the Rodriguez family for trusting me to take your first set of family photos! I had a great time and hope I have the opportunity to work with you all again!